In-Depth: As U.S. Lags in Contactless Payments, are Issuers Ready to Roll Out Dual-Interface EMV Cards? 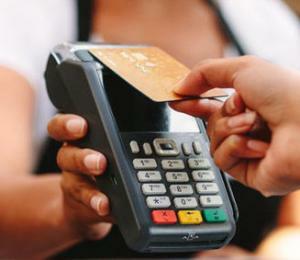 | NFC Times – Near Field Communication and all contactless technology. U.S. issuers could be poised to begin rolling out contactless EMV cards widely next year, which is considered by some industry observers as the majmissing piece in the U.S. market preventing take-up of contactless and NFC. And with a majority of U.S. merchants’ point-of-sale terminals now equipped with the hardware needed for contactless acceptance, and with indications that consumers might be more willing to tap cards than smartphones or wearables, industry observers say card issuance is the missing piece. At present, contactless and NFC transactions make up only a very small percentage of total card transactions in the U.S. Backers of the technology are touting contactless payments’ potential to replace a significant share of cash transactions and increase card transaction volumes. The growth of merchant contactless readiness in the U.S. is fueling speculation about when issuers will begin large-scale rollouts. Article has about 2680 words.